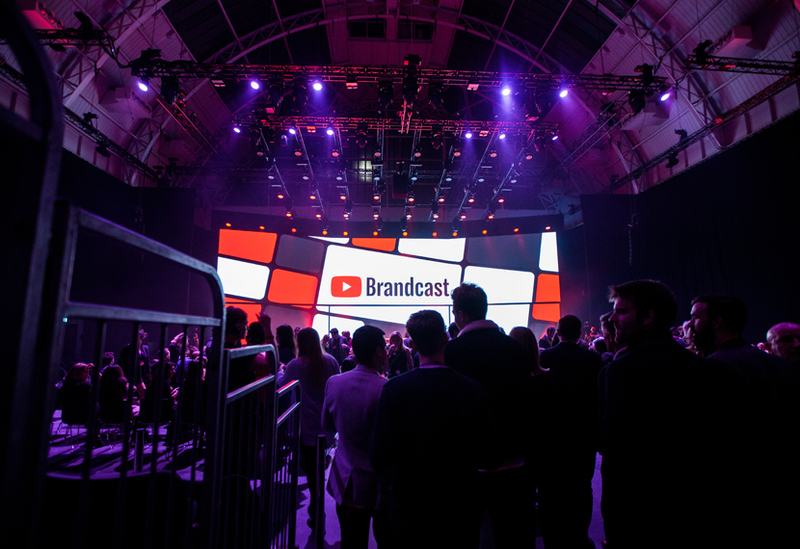 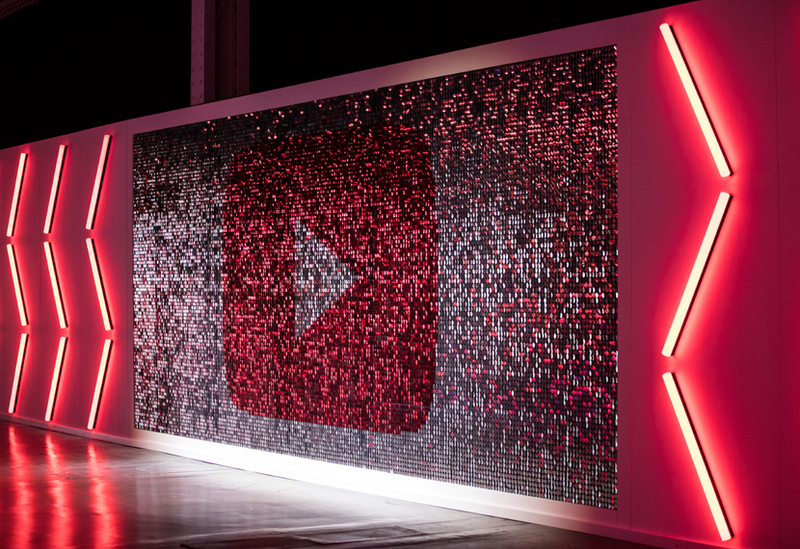 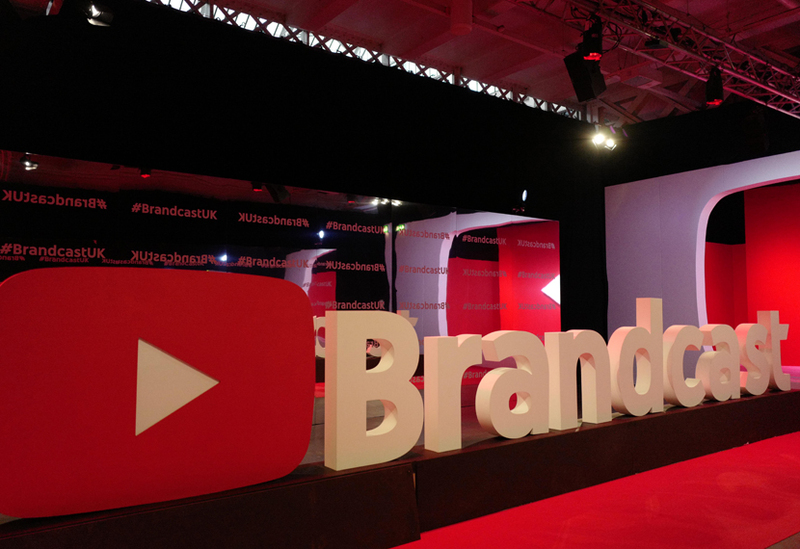 This high-profile live event provides an evening of top-class entertainment for a specially invited audience of key brands, YouTubers, vloggers and influencers. 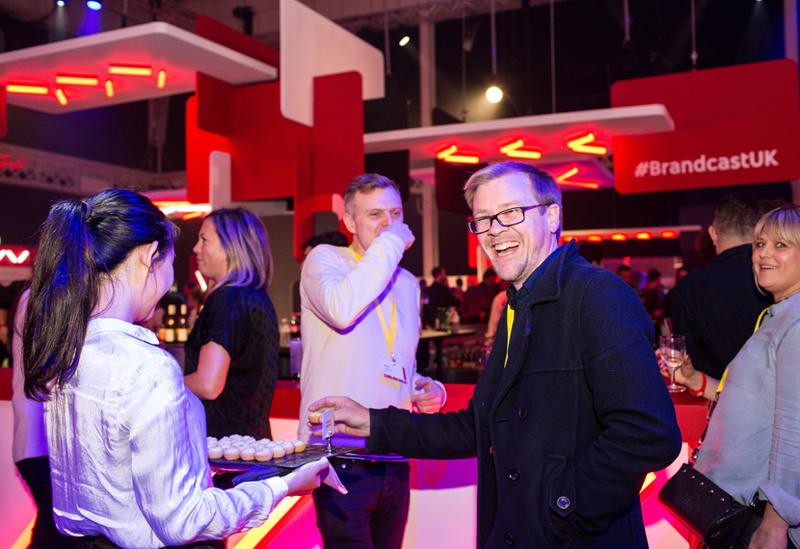 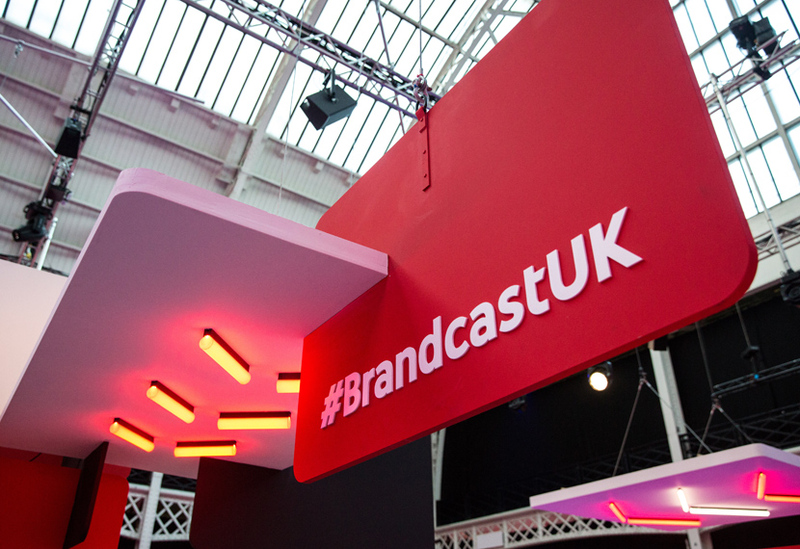 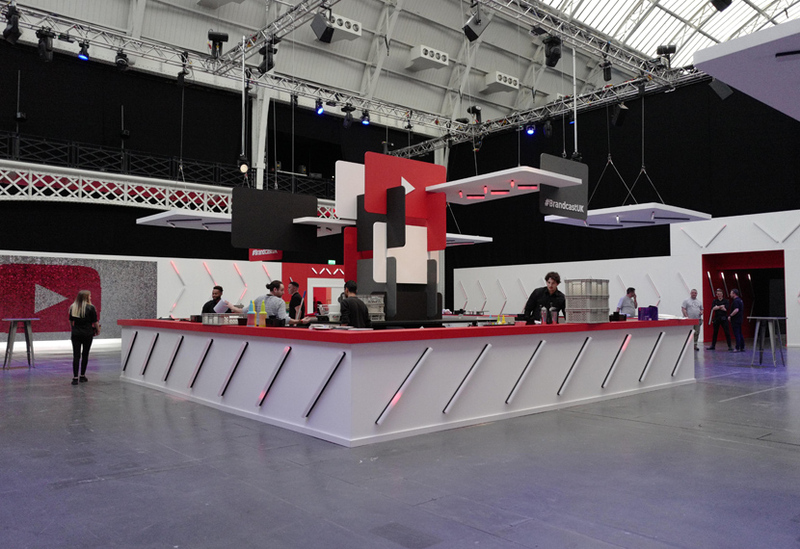 We provided a scenic fit out and automation, delivering a series of different environments that guided guests through registration, reception, a headline show and after-party. 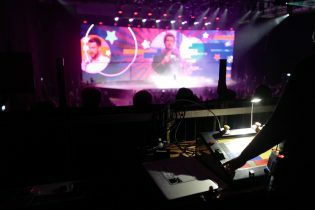 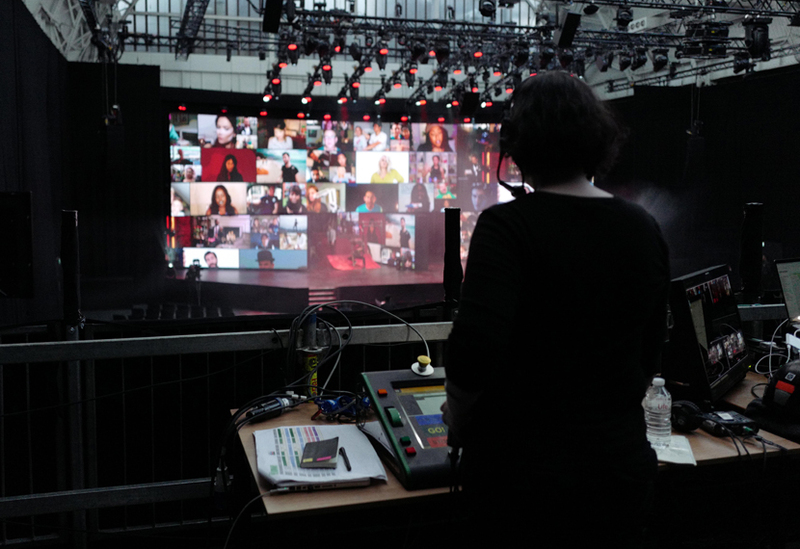 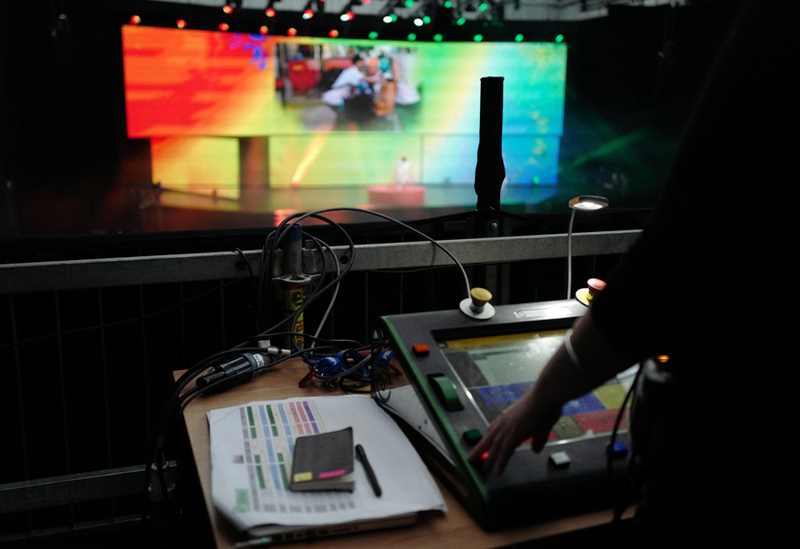 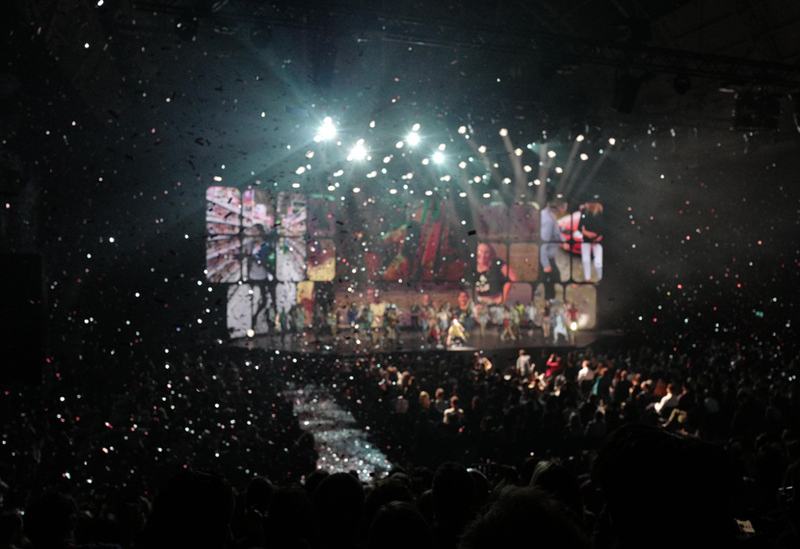 Our workshops created desks, bars and a variety of scenic features while the show automation utilised some of our brand new stock stage revolves and our latest generation Qmotion console. 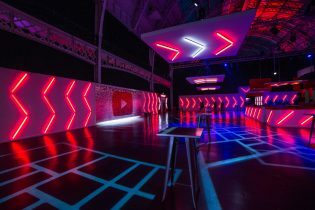 Scenic features included a shimmer wall, a 4m high ‘house of cards’ sculpture and a ‘hidden’ DJ booth, concealed behind a scenic wall and revealed for the post-show party. 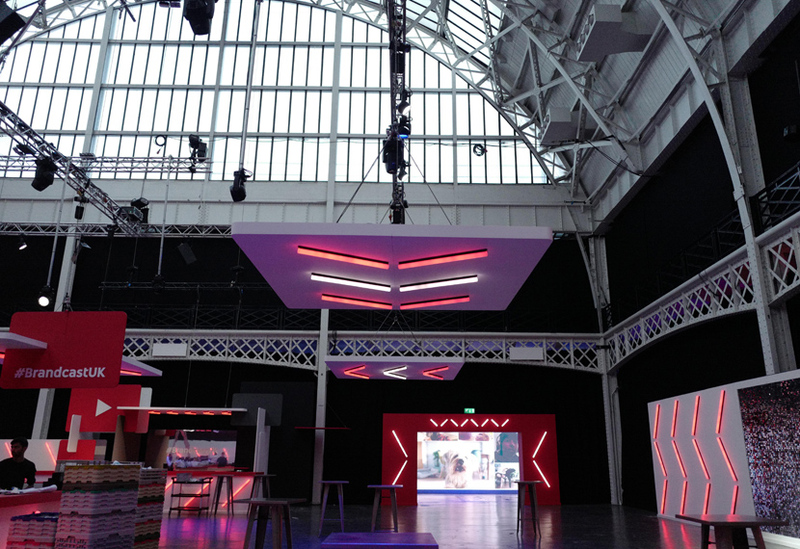 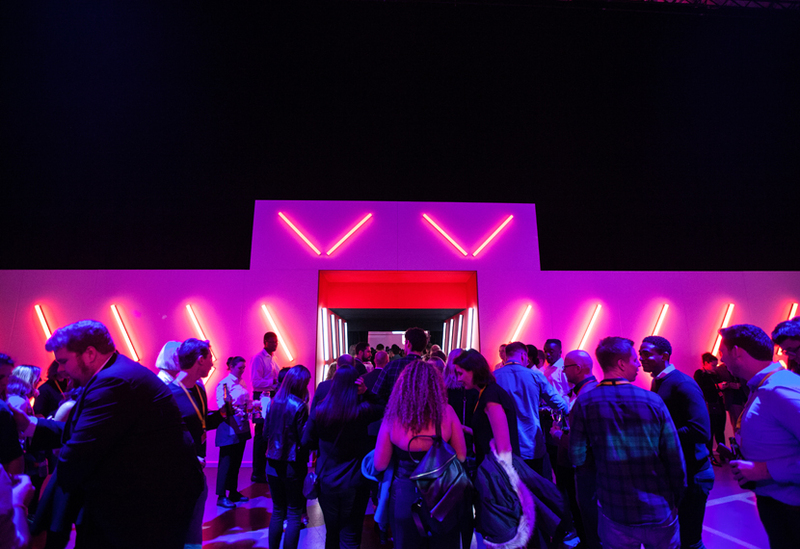 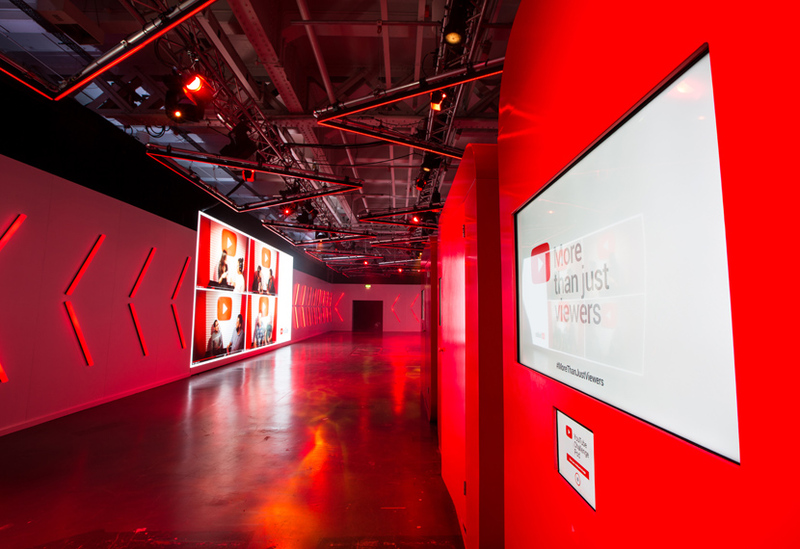 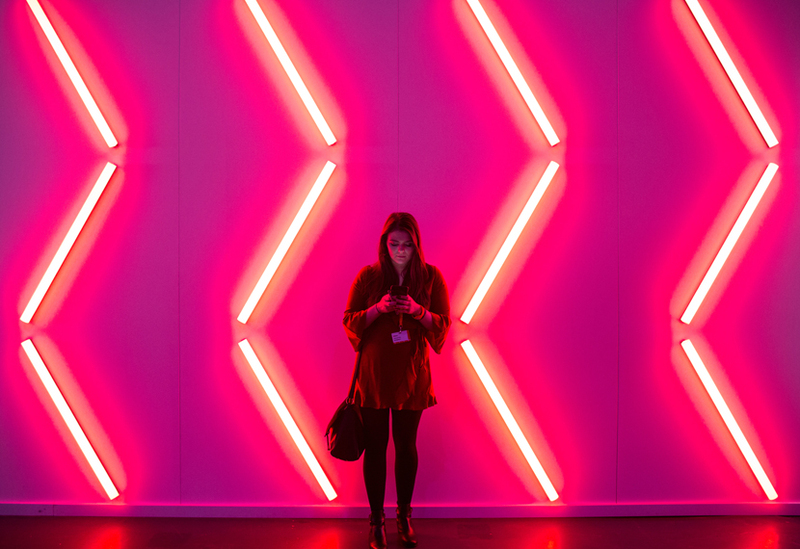 We suspended 3m by 3m lighting rafts from the venue ceiling, while red LED tube lights mounted in specially CNC’d wall apertures were used to create a sense of flow between the areas. 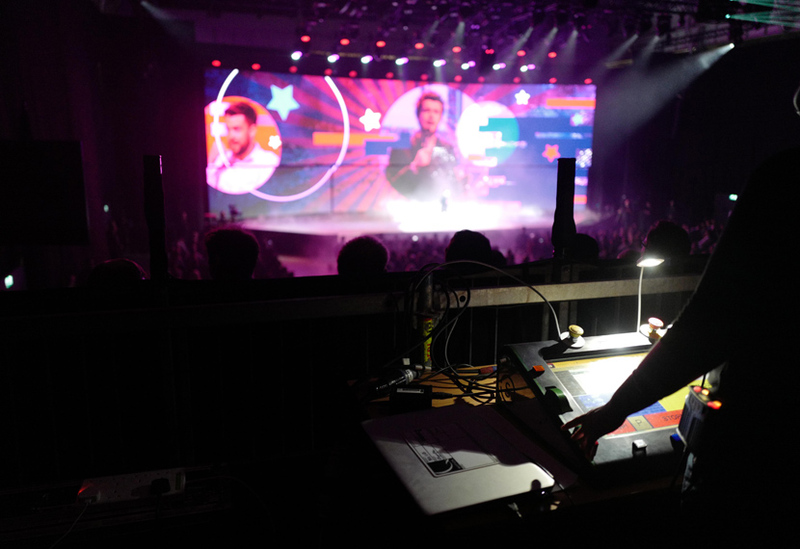 In the auditorium we installed two 7m rack-and-pinion revolves from our brand new stock, as well as a central 8m cable-driven revolve; all manufactured in-house. 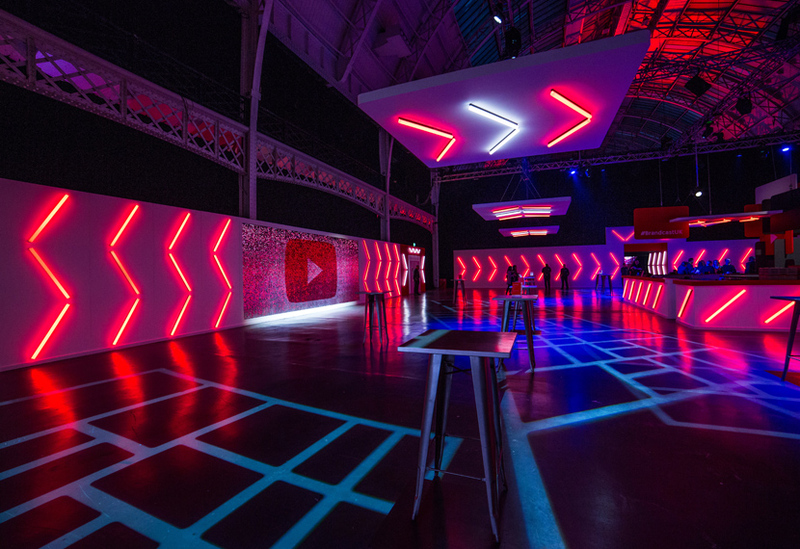 Each had a black dance floor and frames for the fixing of large screens. 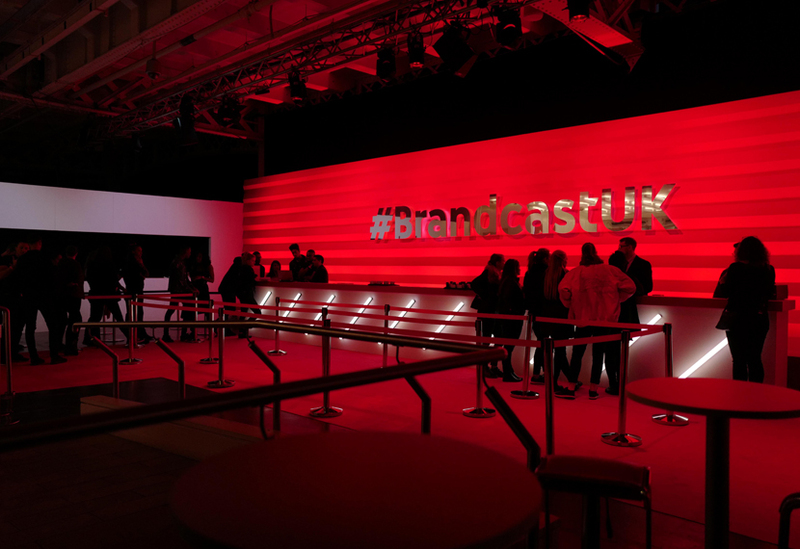 Headline acts included Dizzee Rascal, Craig David and Nick Grimshaw.